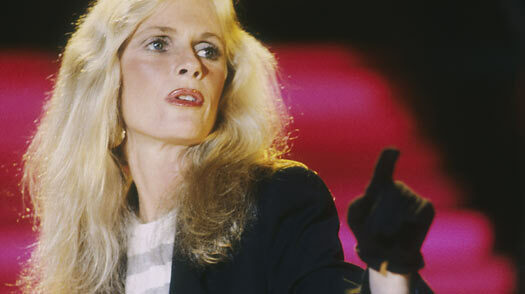 Kim Carnes recorded the song "Bette Davis Eyes," which reached No. 1 in 1981, and sang with Michael Jackson on "We Are the World." His music, in particular the Thriller album and on MTV, let the world finally see how gifted he really, truly was as a performer, not just on a record. The dancing, when you saw the whole package, was just brilliant. The way he danced and sang  I've never seen anything like it. He was so incredibly gifted. I did try to moonwalk. I tried several times. Not recently, but everyone was so intrigued with that motion. As I watched, I would just sit there and say, How is a human being able do that? How is he capable of moving like that? It was mind-boggling. When we did the "We Are the World" video, I was standing right beside him that entire evening. Most of the time we were singing, but in between, when we had breaks, he was charming and very gracious, and at the same time seemed so vulnerable. I'd never met him before and was very much in awe of his talent. He was very shy  except turn the camera on him and start the music, and suddenly there was this great transformation that blew everybody away. How could this human being in his personal life be so shy, and then be so completely the opposite, being the greatest performer ever? It's almost like he was two people.